On the screen, some of the world's top cross-country skiers, led by Norway's Simen Hegstad Krueger, push toward the finish of a 30-kilometer cross-country skiathlon event. Krueger came back after a crash at the start put him in last place, and he's just crossed the finish line in first for the gold. "That's what I'm talking about right there!" 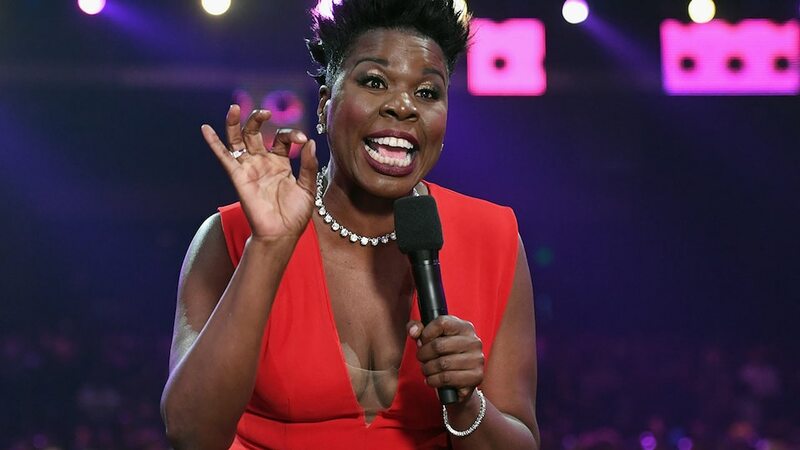 shouts commentator and "Saturday Night Live" star Leslie Jones. "That's heart, baby! That's the Olympics!" Jones has been glued to multiple TVs in her home during the first few days of the 2018 Winter Olympics, and she's been live-tweeting videos of the TV screen with her voiceover commentary. She's a perfect armchair analyst for the somewhat obscure winter events, expressing passionate opinions one moment and complete bewilderment the next. On Saturday night, Jones, who basically took home the gold for being the best fan at the 2016 Games, dove into her tweet-a-ton in which she filmed herself talking to the television during the night of ice skating competition, which featured the team competition short dance, ladies' short program and pairs' free skate. Alex and Maia Shibutani, a rare brother and sister ice dance team, had their first taste of Olympic competition in Sochi. While embracing the experience of representing their country, they say they are even more prepared for competition in Pyeongchang. Getting amped for the skating, Leslie first tweeted, "This is gonna a good night!! @Olympics." Leslie can be heard saying, "I see somebody talked to somebody about them outfits because dude got it going on tonight. You see the little glitter line going down the side of the pants? They dope!" Looks like she wasn't a fan of every ensemble. Leslie tweeted, "The outfits ok," in reaction to what 3-time German champions Kavita Lorenz and Joti Polizoakis opted to outfit themselves in on the ice. But the tweet-happy star changed her tune about the twosome soon and said, "The dude's back is out! He's killing the game right now. He's killing the game! You know how he's standing. He's standing how I feel when I get my nails and my feet done and I want to stand outside of Bloomingdale's and pose." Leslie was feeling the German couple's music and wrote, "PLEASE I NEED TO KKOW WHAT THIS SONG IS. [sic]"
Watching one impressive couple, she yelled, "How the hell do you do this?!" Along with the tweet, "The outfits and the music was on point," Leslie can be heard saying, "Look at the dudes, the dudes are coming in strong with the outfits. Look at that! That guy's whole back is out. Wait! Is his back and his stomach out? That's hot," she said to the television. "The women got to step it up tonight because the dudes is on ya!" In awe of American figure skating duo, Alex Shibutani and Maia Shibutani, a brother and sister team known as the "ShibSibs," Jones yelled at the TV, "This is definitely not something I could do with my brother! Trust me. It would be the worst routine ever...I would not be able to get along with my brother enough to trust him to do a damn triple axel throw." Leslie tweeted another video of once of the dancers and simply wrote, "Seriously, this is incredible!!" E! News' Meg Swertlow contributed to this report.